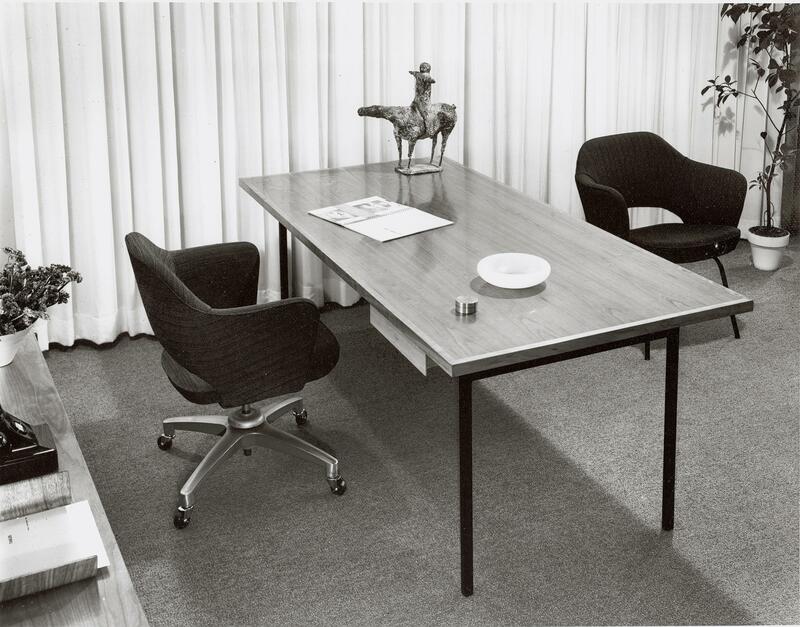 Architect and designer Florence Knoll Bassett helped pioneer the now-ubiquitous open office. A leading architect and designer from Michigan died this week. Florence Knoll Bassett was known for changing how we understand office space in the U.S. She was a giant of mid-century modern design, the style people may associate with the Mad Men-era. Andrew Blauvelt is the director of the Cranbrook Art Museum. He joined Stateside to discuss Knoll's legacy, what office spaces looked like before Knoll's influence, and why she refused to be called an "interior decorator." "[Knoll] brought the idea of the architecture to the inside. She would call herself an architect, not an interior designer, and certainly not an interior decorator," says Blauvelt. Credit Courtesy of Knoll, Inc.
After WWII, the emergence of the American corporation led to a boom in the creation of office buildings. Knoll wanted to bring the same principals of planning and organization applied to exterior architecture to the design of the interior. "She was very vigourous about developing, you know, studying the clients' needs, the arrangement of the organization, the workflows, how people interacted," says Blauvelt. "So she really brought a lot of rigor to how a space should be organized, particularly inside a company." 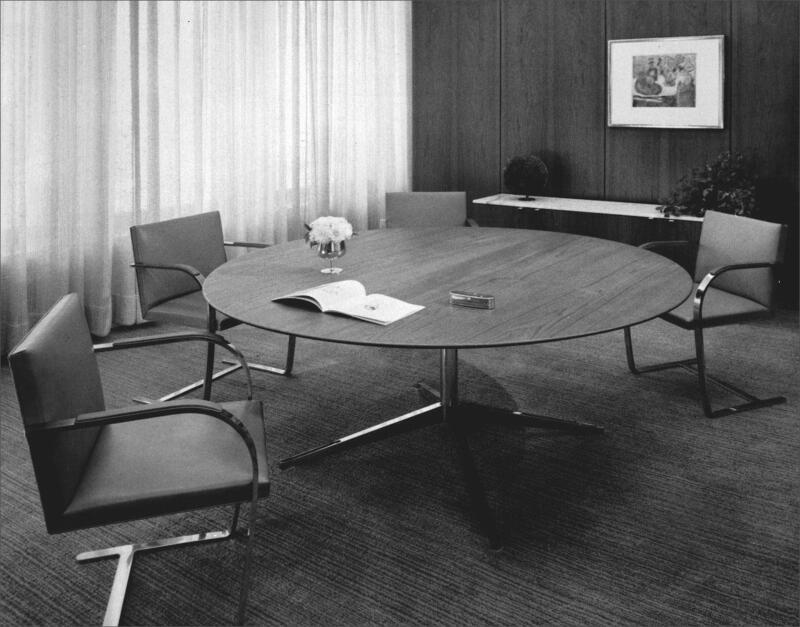 Knoll was one of the pioneers of an open workspace design, as opposed to closed-off individual offices. Her enduring influence can be seen in office spaces across industries and around the world. Stateside's conversation with artist Maya Stovall and Laura Mott, the curator of Contemporary Art and Design at the Cranbrook Art Museum. An exhibition currently at the Cranbrook Art Museum challenges our idea of what a theater is. Rather than an ornate performance space like, say, the Detroit Opera House or Orchestra Hall, this exhibition shows that a not-so-typical space can be a theater: a liquor store. The exhibition is titled Maya Stovall: Liquor Store Theatre Performance Films. Maya Stovall is a Detroit artist and who has her Ph.D. in Cultural Anthropology and Performance Studies from Wayne State University.